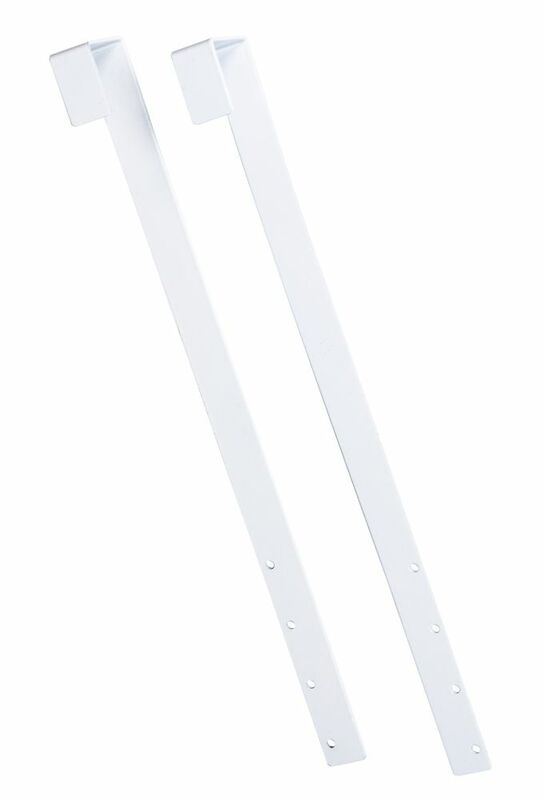 Husky 4 in Double hook is designed to hold rakes, shovels, brooms and tools. It is made of heavy duty high grade welded steel with rubber cushion - great for organizing your garage or shed. Ideal for storing small tools and garden implements, the Husky 4 in. Double Hook has a weight-bearing capacity up to 40 lbs and features rubber cushioned tips to safely stow your items. All Husky Storage Hooks are powder coated and made of solid steel and feature an exclusive one-click lock for security and ease of use. To move the hook, push down to release the lock and lift out of the hook channel. Designed to work best with Husky Track Wall Storage Systems. Hooks For Jewlery Armoire With Mirror The hooks for jewellery armoire with mirror by Pro-DF, are perfect for small spaces. You can hang your jewellery armoire over your bedroom door, or even over your walk-in closet door. Very easy to install, instructions are included. Made of steel and powder coated paint.